Umbrellas scurrying down the block pass Nieman Marcus on Geary Street, Friday, October 14, 2016. 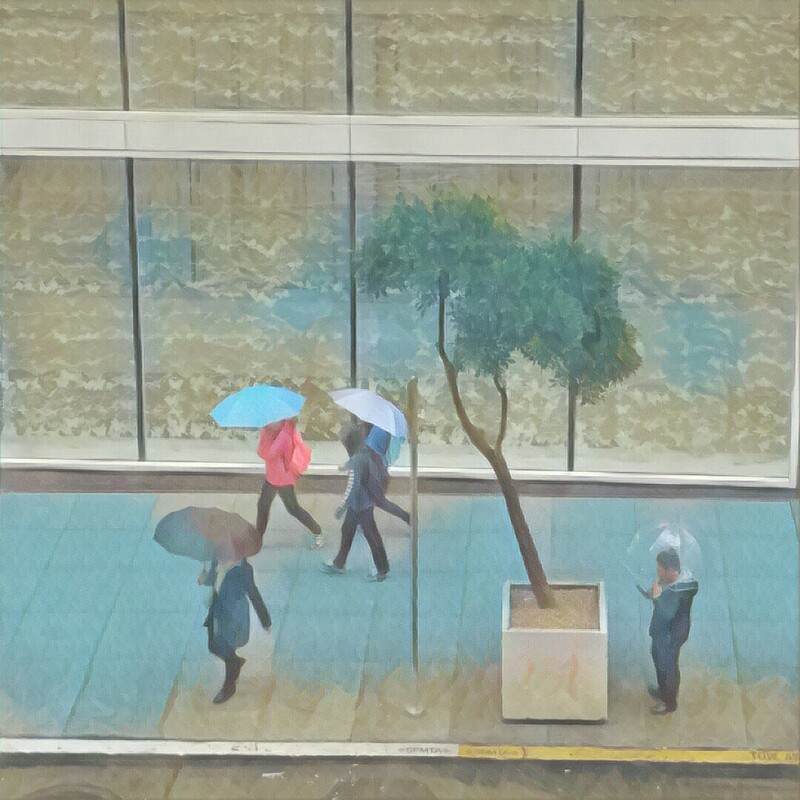 We finally have rain in San Francisco. Hallelujah. A little rain never stopped a bit of shopping in the city. And a bit of shooting photos out the window from my day job is always entertaining. I am hoping for a lot more rain this October through May. Last year’s El Nino was not very impressive compared to El Nino years in the past. Get your umbrellas out, and cross your fingers for a lot of precipitation. I’ll take one of the clear bubble variety, for shooting lots of pictures in the rain.